Without any legal rationale, the officials of Madhya Pradesh Forest Department seized tendu leaves collected by 24 tribal women in Barwaha village near Mungaoli town. The incident happened on May 31 when the women were returning after collecting the leaves. 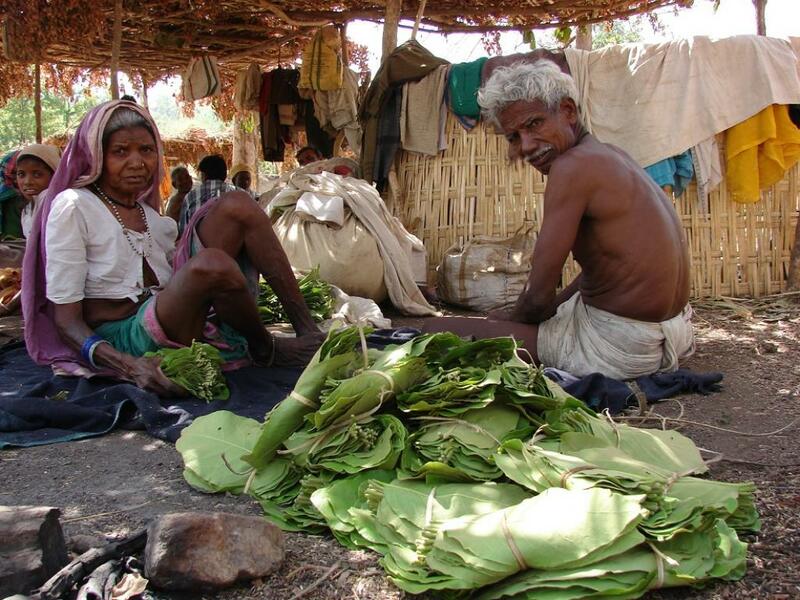 The leaves, used in rolling beedis, are a part of the Minor Forest Produce (MFP), as described in the Scheduled Tribes and Other Traditional Forest Dwellers (Recognition of Forest Rights) Act (FRA), 2006. “The leaves were seized near Mungaoli,” Barwaha Range Officer (RO) Monica Thakur, who caught the women, told Down to Earth. But when asked about the Act under which she had confiscated the leaves, her response was evasive. “They were carrying it illegally,” she said before disconnecting the call. When contacted again, she gave the phone to a forest guard. “Two to three thousand bundles of tendu leaves were confiscated under the Madhya Pradesh Tendu Patta (Vyapar Viniyaman) Adhiniyam 1964,” the forest guard said. According to local reports, the leaves were confiscated as the women were selling them to buyers other than the forest department. The forest guard, too, maintained that the leaves were confiscated because they were being ‘illegally’ collected and sold. What does the Forest Rights Act say? However, under the FRA, the tribals have the right to dispose of the MFP as they deem fit. According to the FRA’s section 3(i)(c), the tribals have the “right of ownership, access to collect, and dispose of minor forest produce which has been traditionally collected within or outside village boundaries”. The act also clearly defines that the MFP includes “all non-timber forest produce of plant origin, including bamboo, brush wood, cane, tussar, cocoons, honey, wax, lac, tendu or kendu leaves, medicinal plants and herbs, roots, tubers and the like”. Sharachchandra Lele, Senior Fellow and Convenor of ATREE’s Centre for Environment & Development, who has studied tendu leaves collection in Madhya Pradesh, says that the incident is a gross violation of the FRA. “One problem is that the Madhya Pradesh government only recognises tribals’ rights on paper. For selling tendu leaves, they have formed the M.P State Minor Forest Produce Federation, but representation of tribals is almost dismal. This federation is practically an extension of the forest department and the tribals do not even know when the elections to the body are held,” he says. While setting up a federation is all well and good, Lele says that it doesn’t take away the tribals’ right to dispose of the leaves as they want. “The collection and transportation of tendu leaves are a monopoly of the government as it is nationalised,” says Ram Prasad, former Principal Chief Conservator of Forest, Madhya Pradesh. Lele says that while tendu leaves were nationalised in Maharashtra, just like in Madhya Pradesh, the state amended the law to give the rights over MFP to tribals as stated under the FRA. No such amendment has been undertaken in Madhya Pradesh.